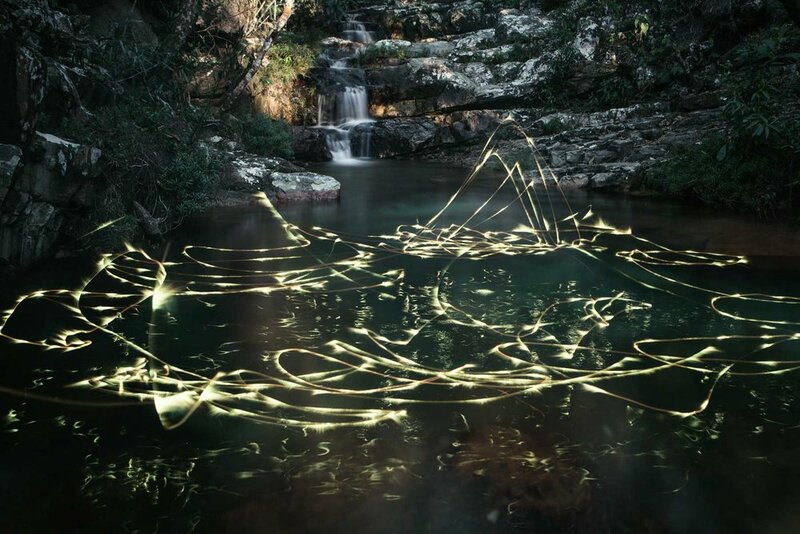 Ever imagine to capture something so unreachable like movement and light itself ? What happens when human's imagination becomes painter? Using all surroundings as potential canvases ? How it would look if we could observe light movement like a slow motion video ? 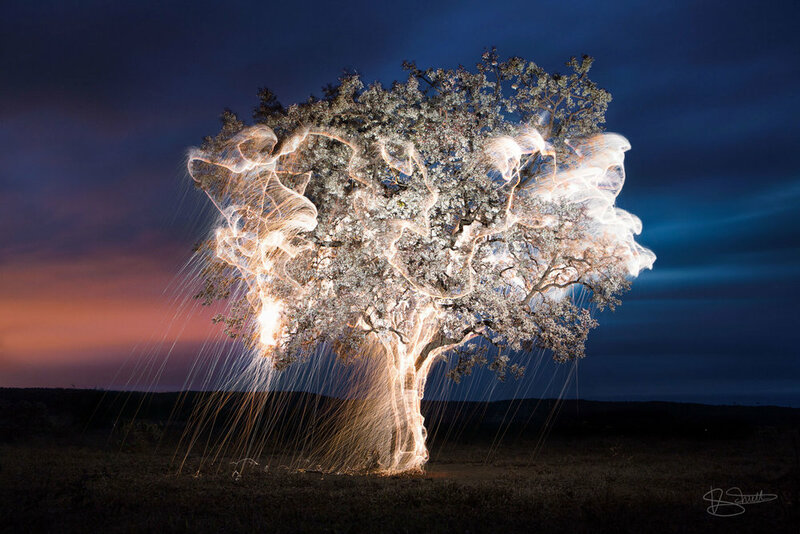 Long-exposure photography captures one element that conventional photography does not: an extended period of time packed in one moment. Art itself taking the best of technological progress combined with great ideas and visions of contemporary painters. One of them, again relaying on nature, is 'Impermanent Sculptures'. 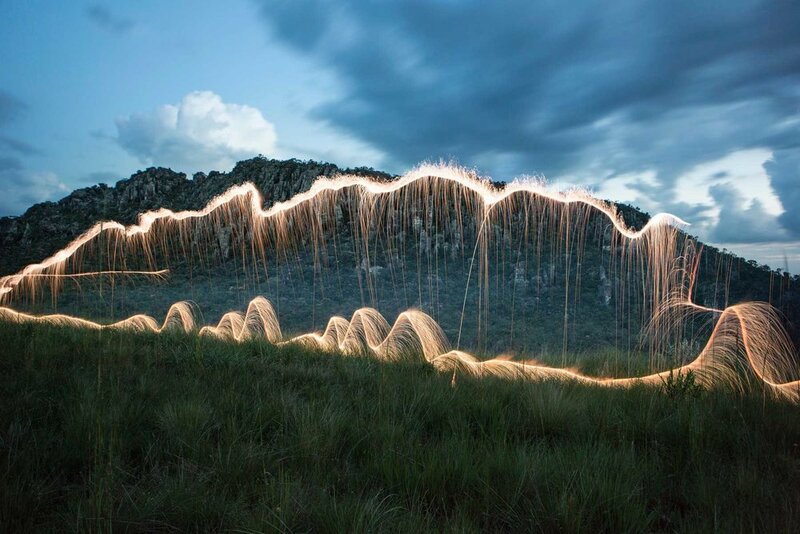 Brazilian photographer Vitor Schietti showed us his impression of perfect moments caught in his imagination: visible only in his mind before lighting up the landscape. 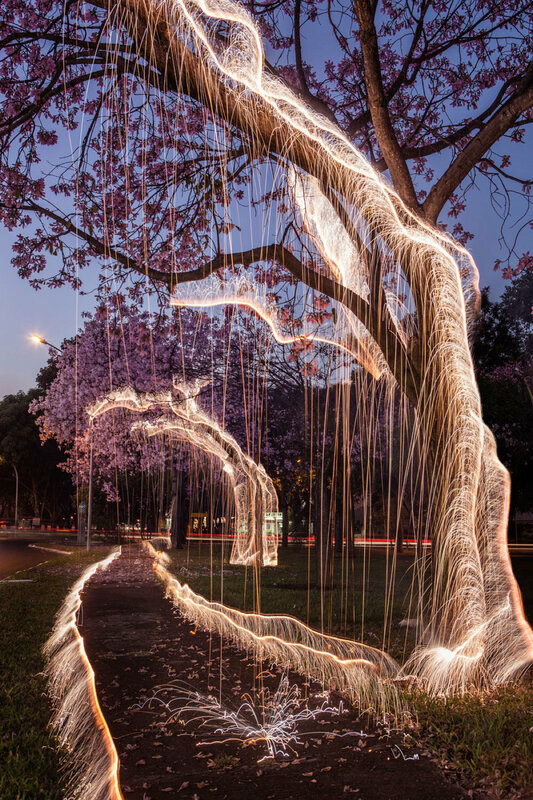 About 'Impermanent Sculptures' Vitor Schietti says: "The series is the result of several years of research on long exposure photography. 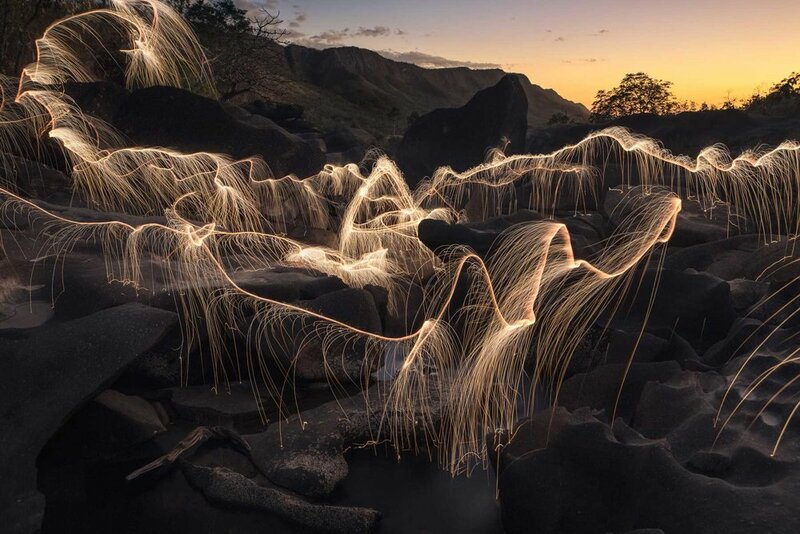 Only one or two pictures per day were allowed, since the time window for which this balance is possible is very narrow (20 to 40 minutes)"
Lake Paranoa, streets , Brazilian central plateau, National Museum of Brasilia were his background for his light drawing this time. Allowing the audience to catch part of his beautiful mind he says: "I deliver myself to the present moment when drawing these light sculptures, which only ever existed for the digital eye of the camera, never really being perceived as a whole by a human witness."